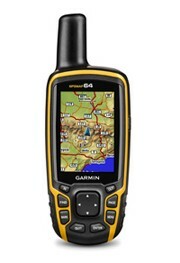 With its quad helix antenna and high-sensitivity, GPS and GLONASS, receiver, GPSMAP 64 locates your position quickly and precisely and maintains its location even in heavy cover and deep canyons. The advantage is clear — whether you’re in deep woods or just near tall buildings and trees, you can count on GPSMAP 64 to help you find your way when you need it the most. The GPSMAP 64 comes pre-loaded with Worldwide basemap. Adding more maps to GPSMAP 64 is easy with our array of detailed topographic, marine and road maps. 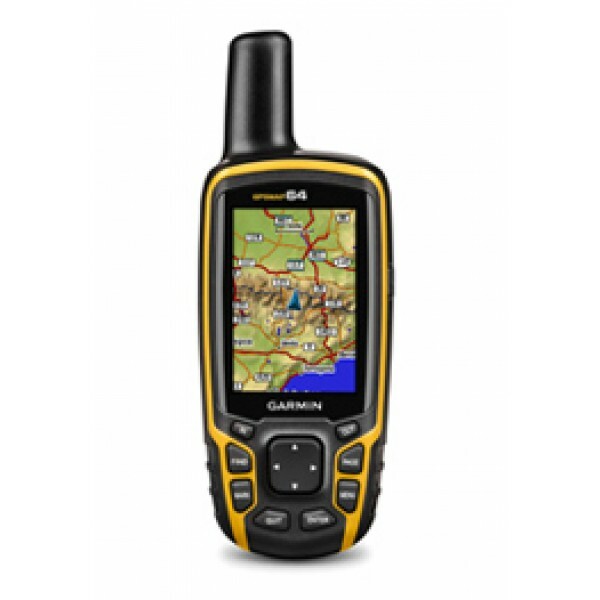 With 4 GB of onboard memory and microSD card slot, you can conveniently download TOPO maps and hit the trail, plug in BlueChart g2 preloaded cards for a great day on the water or City Navigator NT map data for turn-by-turn routing on roads. GPSMAP 64 also supports BirdsEye Satellite Imagery (subscription required) that lets you load satellite images onto your device and integrate them with your maps. In addition, the 64 is compatible with Custom Maps, a map format that allows you to transform paper and electronic maps easily into downloadable maps for your device, for free.